Since Wednesday, July 20th, new web pages of Prague Integrated Transport are available on www.ropid.cz. 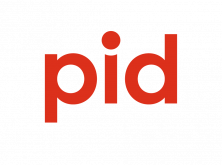 The web is administered by the Prague Integrated Transport organizer (ROPID). The new web replaces the original web pages of Prague Integrated Transport organizer, which were located at the same address. The original web is available on stary.ropid.cz. However, these web pages will not be updated anymore. If you have any comments or suggestions for the new web site, please contact us by our e-mail address ropid@ropid.cz. Place “Web” into the e-mail subject.